After graduating from Randy Rick’s Beauty School in the early 90’s, Jenn Ryder spent the first eight years of her career working for several up-scale salons in York and Montgomery counties. During this time, she attended schools from New York to New Orleans, acquiring multiple certifications in hair design, color correction and salon management. She was also published in thirteen popular trade magazines including Celebrity Hairstyles and Inspire, both in 1999. Beginning in August 2001, Jenn owned and operated Salon Serenity. Six years later, she merged her salon with Heritage Hills Resort, presently named Serenity Spa and Salon at Heritage Hills. 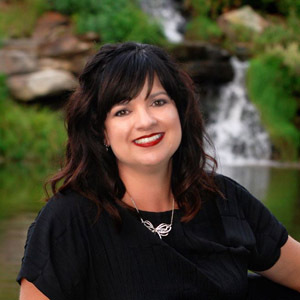 Jenn has been in the cosmetology field for 19 years and has seen her vision emerge with the support of Heritage Hills Resort and her current professional team. The spa and salon recently accomplished securing the top nod in the 2012 Best of York votes for Best Massage and Spa, making them the most unique in the county. Most recently, Jenn has accomplished her teacher’s license which will allow her to have an Internship Program at the spa and salon. She is looking forward to this new venture with enthusiasm as she has always enjoyed fine tuning her professional skills. When she is not at the spa and salon, Jenn enjoys spending time with her family, consisting of her husband Phil, her two sons Evan and Dean and her black lab Cody on their 15 acre farm.